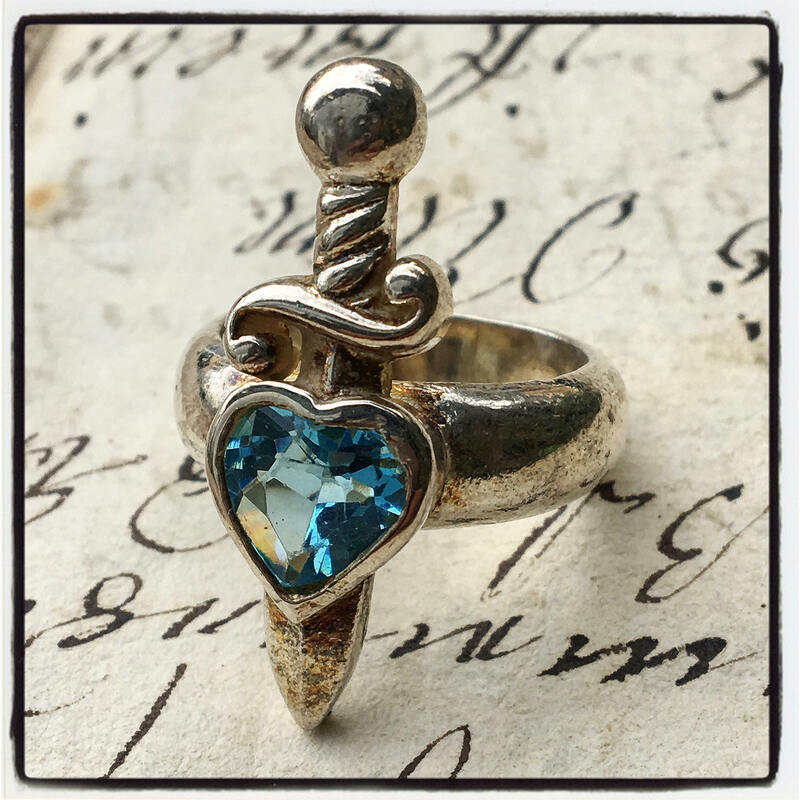 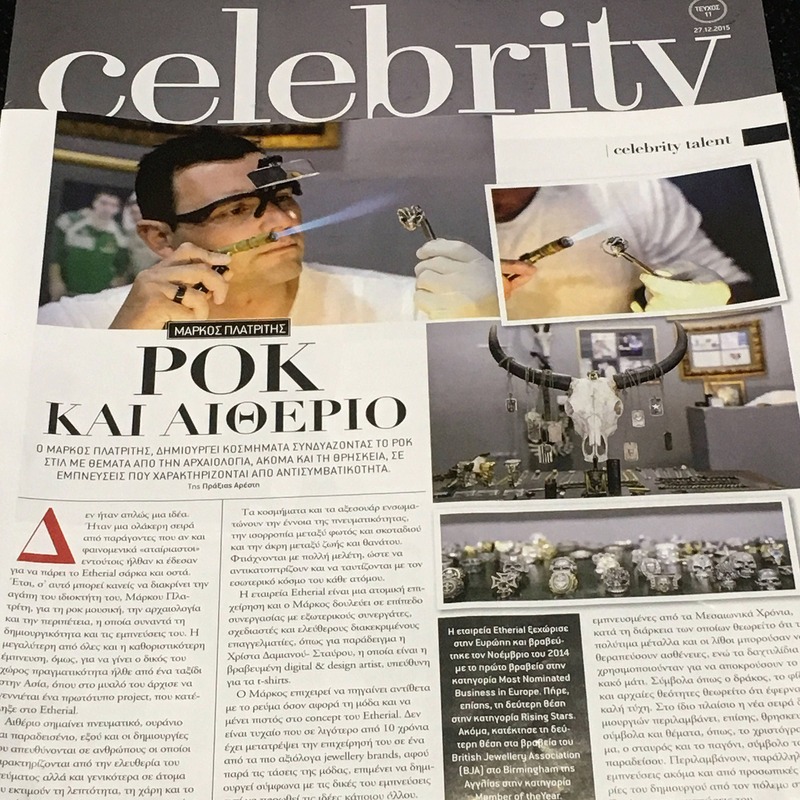 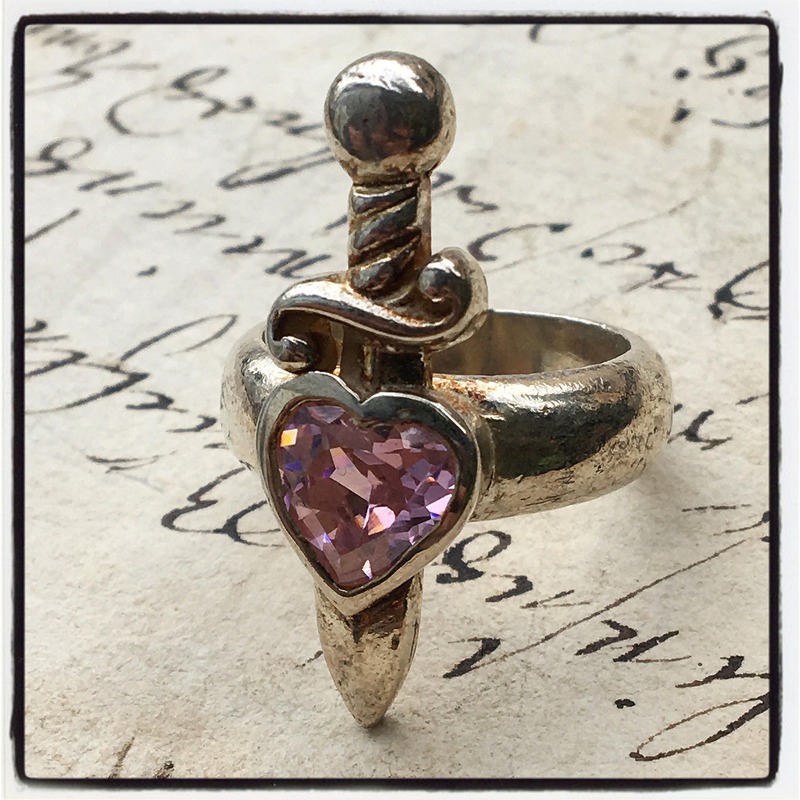 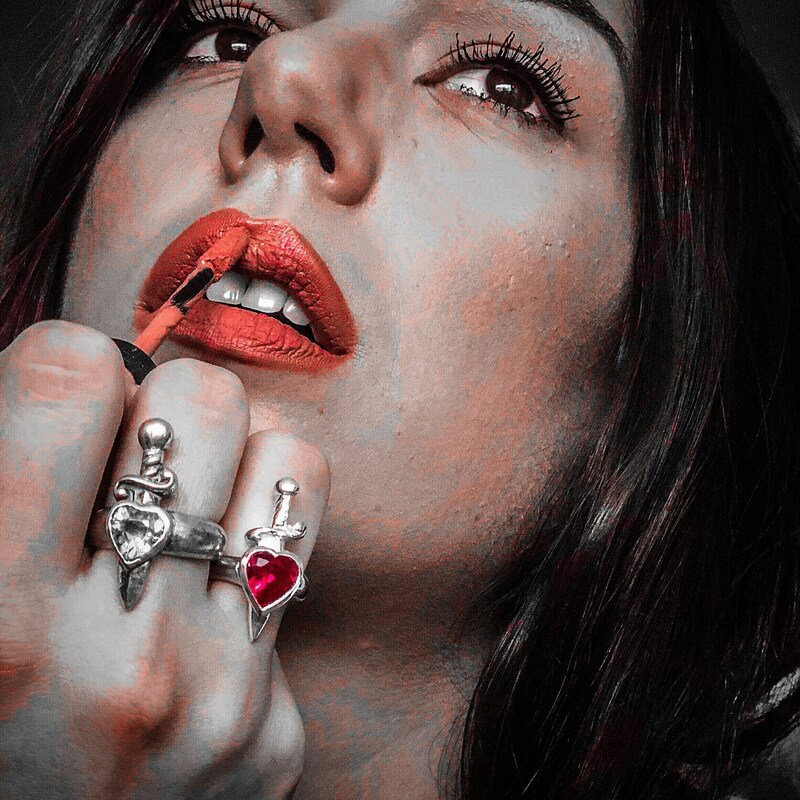 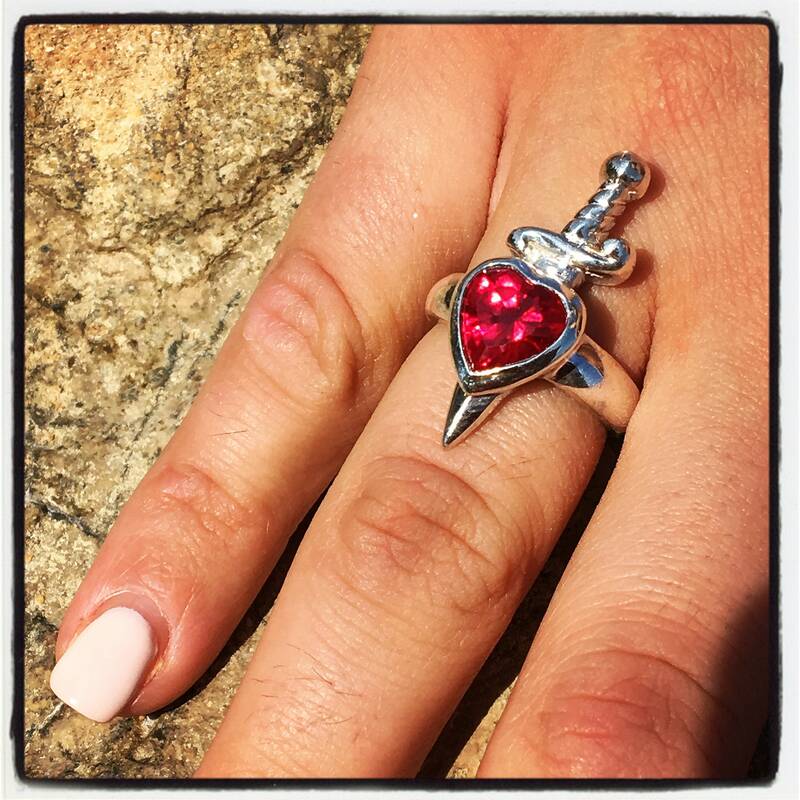 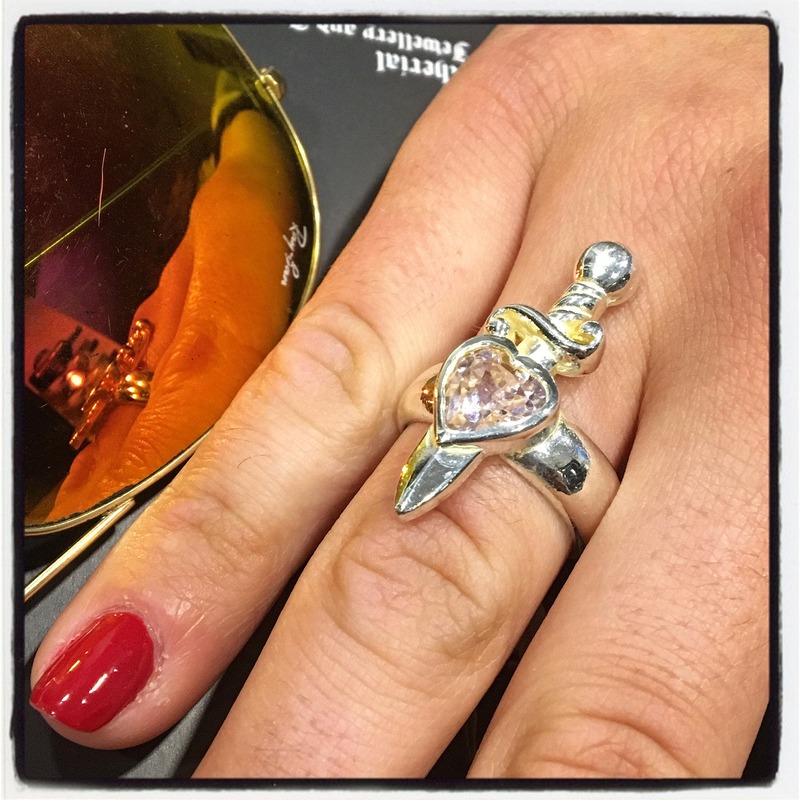 This is a genuine Handmade Sterling Silver Heart and Dagger Ring encrusted with One Gemstone of your color choice, handmade by World Renowned Award Winning Master Goldsmith Marcus Platrides on the Greek Island of Cyprus in Europe. 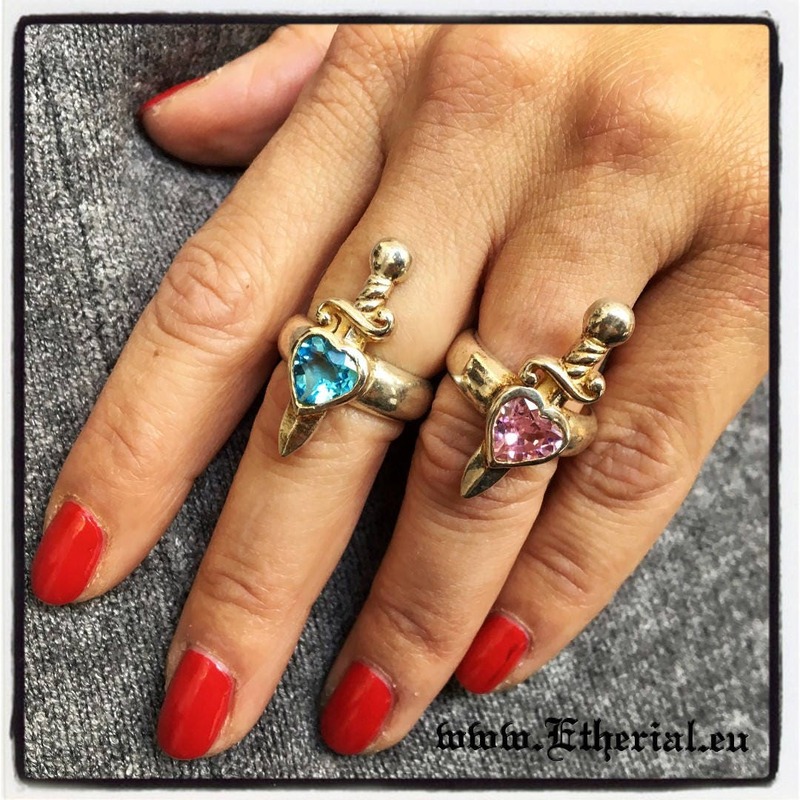 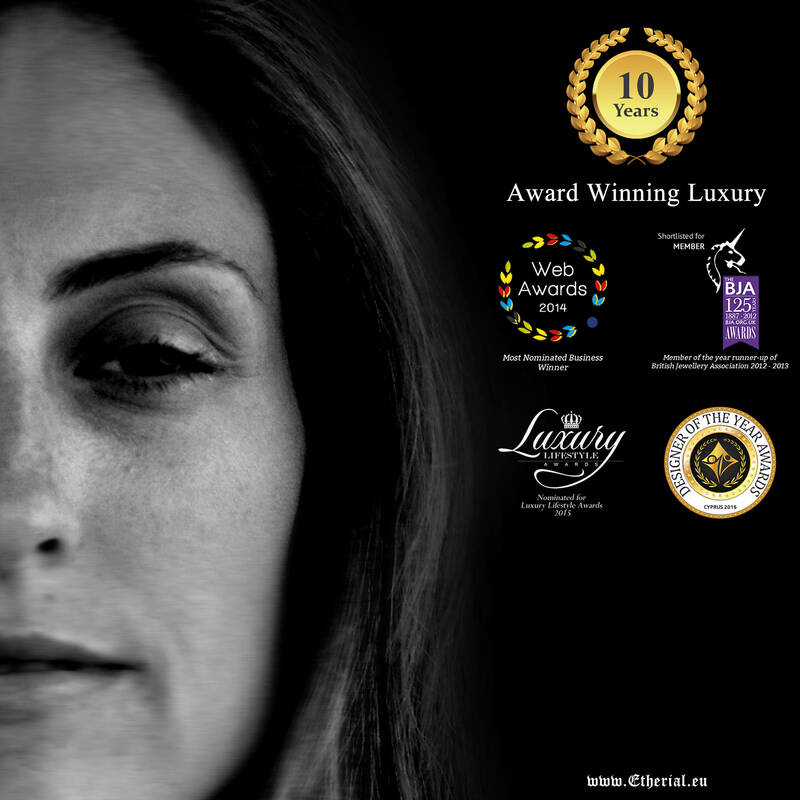 We offer a variety of color Gemstones for you to choose from. 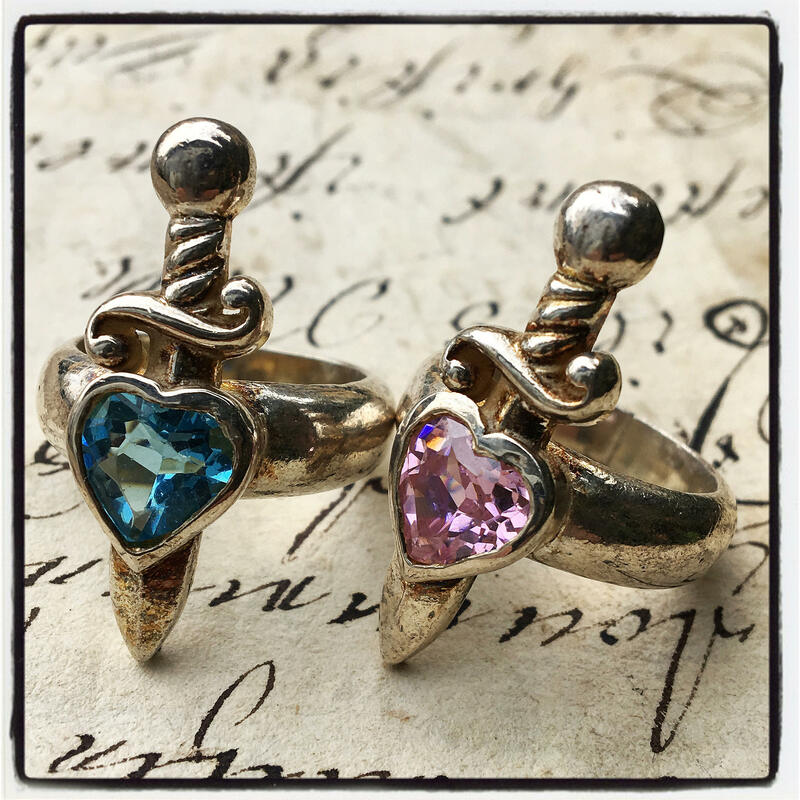 The 18k Gold overlay and your Color of Gemstones is Completely Free of Charge.